Rapid-Cool®’s unique plate and fin design offers excellent cooling efficiency in a compact, space-efficient design. 3/4" Thickness, 11" Height, 7-1/2" Lenght, 5-1/2" Core, 3/8" Push on Fittings, Up to Full Sized Vehicles, Towing up to 2,500 LBS. 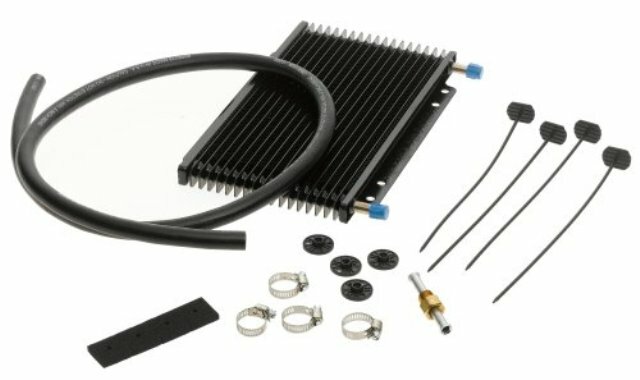 These coolers comes with mounting hardware, clamps, hose included. DO NOT use transmission oil coolers for engine oil applications. Engine damage may result due to flow restrictions.